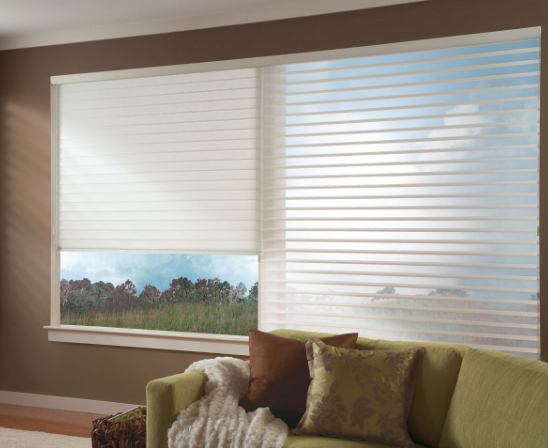 20% off Hunter Douglas blinds, shades, and motorization throughout the month of September. Not only can a window treatment visually enhance any room, but there are many functional aspects of a window treatment, too. Take advantage of 20% off Hunter Douglas shades, blinds, and motorization to personally experience the benefits of these top-of-the-line window treatments. Hunter Douglas energy-efficient products can help to keep you comfortable all-year-round while you save money on your heating and air-conditioning bills. Purchase select energy-efficient products and you may qualify for a $500 federal tax credit. 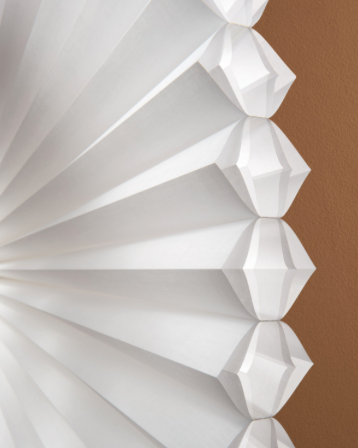 Hunter Douglas offers the option to make window treatments motorized. This feature makes it easy to control those difficult to reach windows. The convenience of a motorized window treatment allows you to program your shades to adjust to the exact positions you want throughout the day on a schedule that you set. The built in timer can be controlled by an app on your smartphone, tablet or remote control. Shade motorization eliminates the need for unsightly cords creating a safer environment for children and pets. Hunter Douglas’s Silhouette has soft adjustable fabric veins that appear to be floating between two fabric panels which diffuses harsh sunlight. These help eliminate the glare on a TV that ruins an otherwise perfect picture. Artwork and fabrics alike can fade and lose their original appeal, but window treatments can block potentially harmful sun exposure that can damage furniture. Here at Elegant Interior Designs we are ready to assist you to ensure that window treatment shopping isn’t a pane in the glass. Contact us by September 30 to get in on this hot deal.